Last Updated: September 20, 2016 | Subscribe to our weekly newsletter! 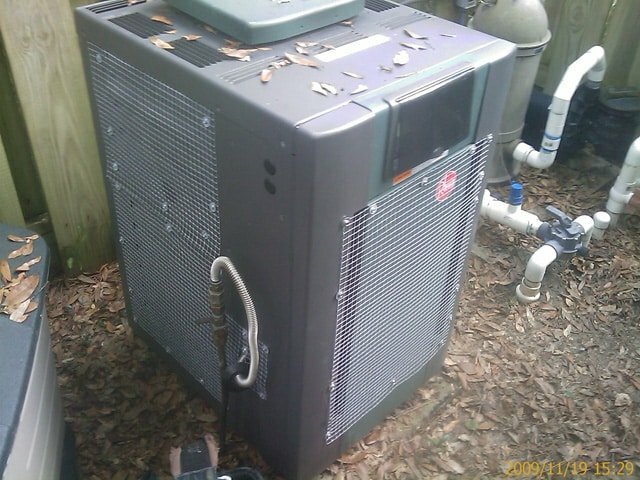 One of the most common problems pool owners encounter are heater problems. These problems are often related to mice and rodents. When temperatures begin to cool, mice and rodents start looking for warm places to go. As you can probably guess a pool heater is a pretty tempting option for them. 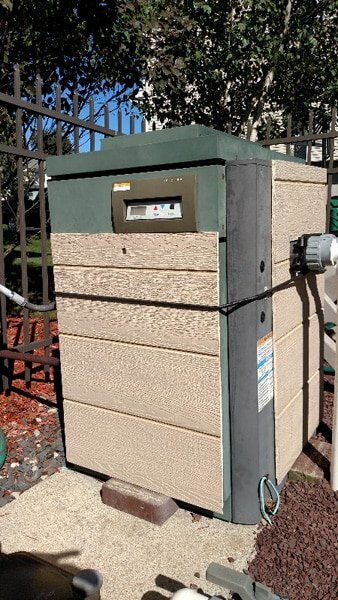 As pool owners, you want to protect your heater. That’s why you should take a few steps to keep mice and other rodents out of your pool heater all year long. 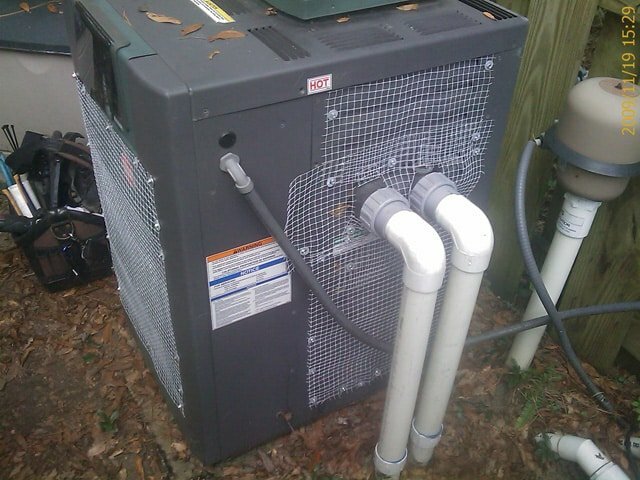 When mice, rats, or other rodents infest your pool heater, they quickly set up shop. While they are living inside your heater, they will quickly chew through your wiring while piling it with junk and other nastiness. Often you don’t even know you have a problem until you try to turn your heater on and nothing happens. Aside from checking your pool heater on a regular basis, there are things you can do to keep mice and other rodents out of your pool heater once and for all. Before we get started, you need to head to your local hardware store and maybe even a dollar store to pick up a few things. All of the items on this list are very easy to obtain and they won’t cost you a fortune either. When you compare the costs of these materials to a potentially expensive heater repair, there really is no reason why you shouldn’t head to the store right now. To protect your pool heater from these destructive rodents, just follow these easy steps. Remember, only do this when you are closing your pool or, at the very least, when you plan on closing and not using your pool heater for an extended period of time. Place moth balls just inside the control panel. Rodents hate the smell of these things and will avoid them if they can. Stuff steel wool inside any small openings or holes. Rodents can squeeze through even the tiniest of spaces so you need to be thorough. When they try to chew on the steel wool, it will cut their mouths. Rodents hate this and if they do continue to eat the steel wool, it will eventually kill them. Cover the areas in quarter inch hardware cloth as an added barrier. The hardware cloth gives them another barrier they can’t chew through that they have to face to get inside your heater. It also keeps things looking nice and tidy. If you want a little extra protection, try placing a few rubber toy snakes around the outside of the heater. This may sound silly, but rats and mice hate snakes (for obvious reasons) and these fake snakes make a great deterrent. Remember, you don’t want to operate your pool heater with all of this on it. Before you turn it back on to use, make sure you remove everything from your pool heater, including the moth balls on the inside. Who wants to smell warm moth balls after all? If you didn’t follow these steps or if you already have an infestation, you need to know what to do. First, turn off all the power to your pool heater so you don’t shock yourself or anyone working on the heater. Next, you should call an exterminator to get rid of the nest, unless you want to do it yourself. Once the nest has been cleaned out, it is time to work on that heater. Rats and mice will chew through power cables like they were candy, so you have to be careful to discover everything that has been damaged by those pesky critters. If you are a do-it-yourselfer, you may be able to do these repairs yourself. However, if you are not comfortable dealing with chewed wires and maybe even more significant damage, don’t hesitate to call a licensed repair person to take care of it for you. Mice and rodents can quickly cause a lot of damage to your pool heater before you even know you have a problem. Before you get a family of vermin in your pool’s heater, why not take a few minutes and make just a small investment to protect it from them so they can’t get in there in the first place. Your heater will be glad you did, and so will you when you try to fire up your heater on one of those cooler nights. Using a cover is only half the battle to protect your pool during winter. Use a pool cover pump to keep that cover clean and strong so it can do its job.